A cancer-stricken warrant officer who served with the Canadian military for nearly three decades is facing a long appeal process after Veterans Affairs denied his application for disability compensation. Alain Vachon of Calgary spent 27 years in military service, which included deployments to Afghanistan, Kuwait, Bosnia and Kosovo, among other places. For the past two years, he has been battling Hodgkin’s Lymphoma, a form of cancer that affects the lymphatic system. 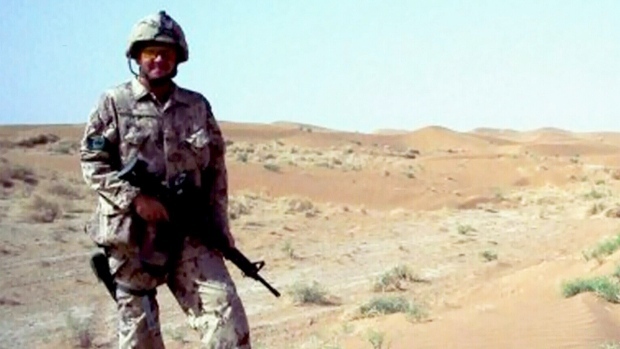 Vachon believes his exposure to depleted uranium at Camp Doha in Kuwait caused his illness. After years of suffering from breathing problems, Vachon was diagnosed with Hodgkin’s Lymphoma in 2013. He underwent seven months of chemotherapy and applied for disability compensation with Veterans Affairs, but was denied. “We filed a disability claim because of the cancer and believing that the depleted uranium caused it,” said Vachon’s wife, Alex. The couple has a letter from the military admitting that Vachon was exposed to depleted uranium, pesticides and other unknown substances. But the level of his exposure is not clear. “We have our side that says yes, it could be a cause (of cancer) and their side says no – they don’t even say, ‘could be,’” Vachon said.